RATE IS PER DAY OR WEEK. This is a vacation rental, not a monthly rental. 4 day min off season, SATURDAY TO SATURDAY summer. Rate is $179-$200 per day, winter. 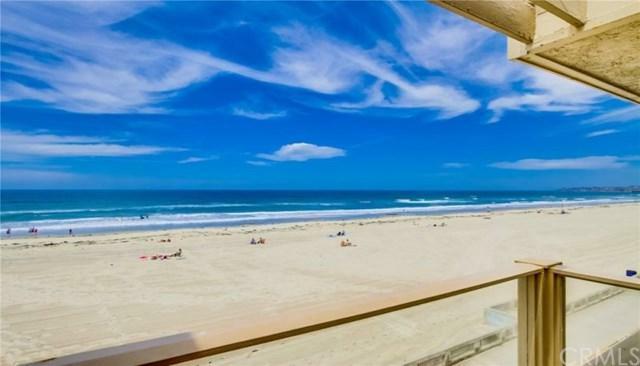 Summer rates are $2000-$3200/week, This beautiful Ocean Front condo is on the beach. The only thing separating you from the waves and sand is the famous boardwalk. 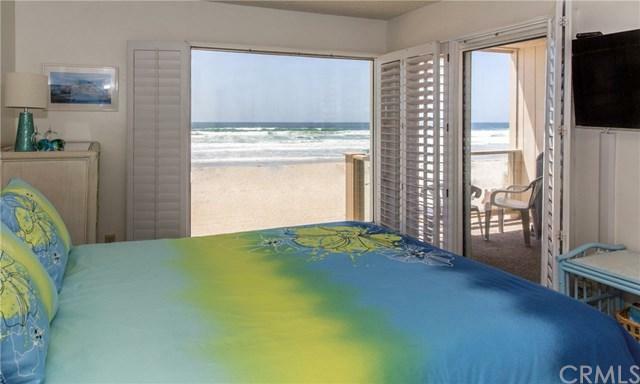 Wake up to the sight and sound of the Pacific Ocean directly in front of you with our large picture window in the master bedroom. The living room, dining room, kitchen and master bedroom all face the ocean. . Recently remodeled with new kitchen appliances, granite counter, new hotel queen bed, new queen leather sleeper/sofa and new leather recliner. The kitchen is fully stocked with all cooking and eating utensils you will need. The master bedroom has a queen size bed and HDTV, the second bedroom 2 twin beds and computer, and the living room a couch, recliner, HDTV, DVD player, and stereo. The large balcony overlooks the boardwalk and has patio seating for 6 and a gas BBQ. All linens are supplied. We even provide boogie boards and beach chairs. There is one parking space below the unit large enough to fit the biggest SUV. 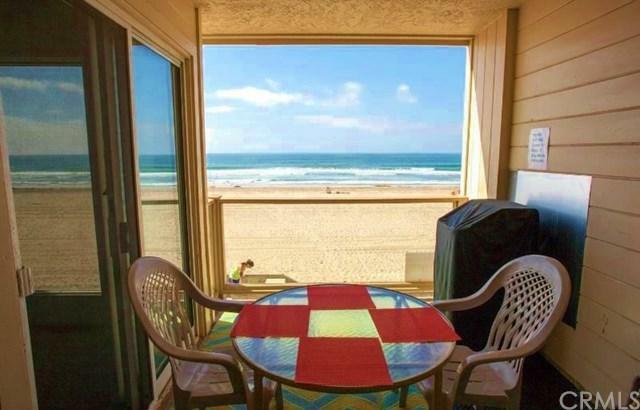 The condo is located halfway between the Pacific Beach Pier and the famed Belmont Park roller coaster.